Museum as Retail Space (MaRS) is pleased to present Lipschutz or Lipschutz by Lipschutz & Lipschutz. 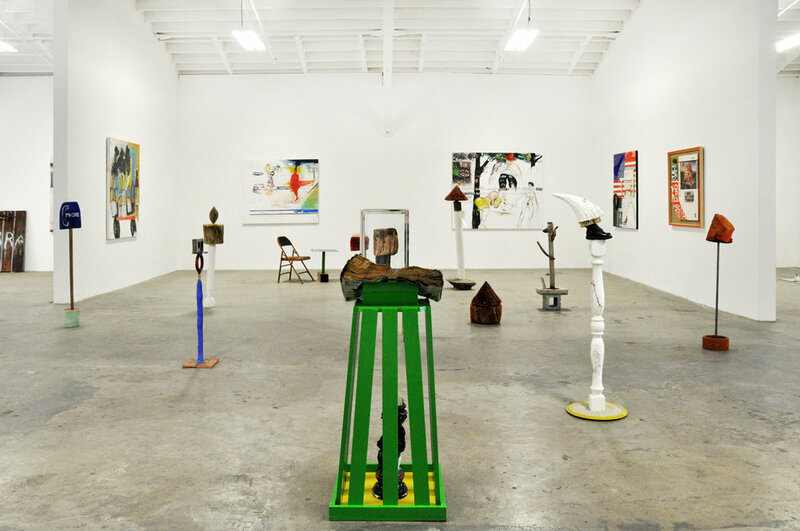 Lipschutz or Lipschutz, an extensive body of work by the father-son collaboration Lipschutz and Lipschutz, is a free wheeling exploration through painting and sculpture of what the artists term "the posterritory." The team, Jeff and Michael Lipschutz, see the posterritory as a successor to the American Century and the Age of Aquarius. The show’s aesthetic range is broad and its restlessness reflects our current social re-ordering, or put more accurately, dis-ordering. 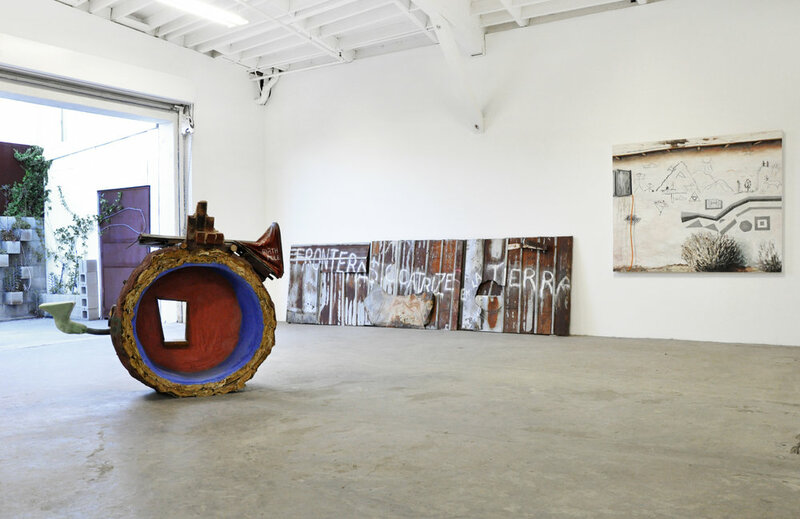 The artists consider their work “anti-systematic” because they refuse to stick to familiar processes, and instead experiment with improvised methods. This usually begins by combing through curbside trash to produce uncanny, often totemic three-dimensional forms. The paintings stem from their political and literary conversations, and are full of personal references, which the artists consider meaningless absent their implications concerning society at large. Reflecting the age difference between the two artists, the work pulls from the 1960s to the present. As a result of the extent to which the two artists disappear as individuals within the collaboration, the work often feels like a third artist made it. In the work, the artists wear many hats: rag pickers, scrap collectors, plasterers, and seamstresses. In other professions, the father-son model is commonplace and takes on ritual aspects as well as commercial. Lipschutz & Lipschutz is an attempt to solve an ancient dilemma, how to pass on the family history and expertise. Specific wall pieces range from a collage titled Talking To Cops (2017) to multiple re-imaginings of Brueghel’s Tower of Babel to canvases that interpret screenshots of cable TV menus as cultural allegories. 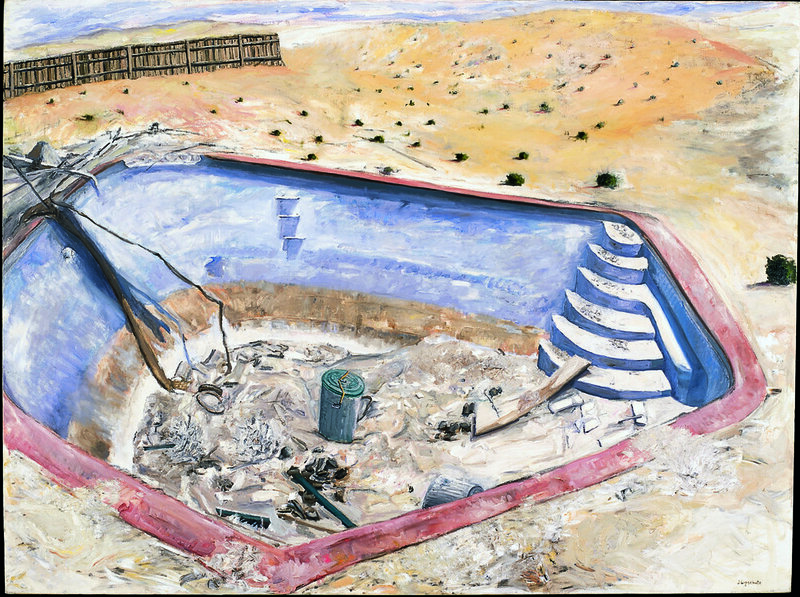 Other paintings refer to the Elder Lipschutz’s childhood in the California ghost town of Eagle Mountain, a remnant of postwar heavy industry that closed in 1982, an early victim of globalization. The sculptures are based upon finding, adapting, and analyzing elements often found on the street and then attached to studio made pedestals. Many of these sculptures include phonebooks, forms the artists have deconstructed as modular building blocks, and when viewed together, form a body politic of characters and textures. The sculptures feel like relics from a tomb, or a bomb shelter in the Age of the Algorithm. Birth Mule (2010-2017) is a large-scale meditation on the centrality of women. It is a circular house that could be from any time or space, and changes from every viewpoint. Lipschutz or Lipschutz is a poetic deconstruction of the nation’s reality: globalism, corporatism, tv-ism, and racism.